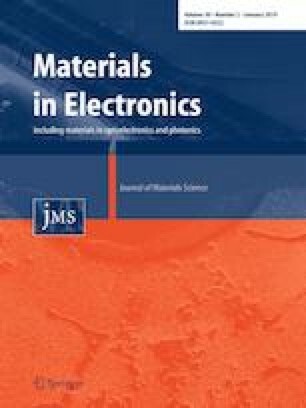 Pure and CV dye subsumpted sodium acid phthalate single crystals were grown using slow evaporation method by utilizing double distilled water as a solvent and synthesized at 308 K and the harvested crystals subjected to diverse characterization studies to know its physico-chemical properties. The cell parameters and space group is substantiate using SXRD analysis. ICP-OES analysis depicts the presence of sodium in the host material. Using photoacoustic study the thermal diffusivity of the pure crystal is found to be 1.88 and CV doped crystal is 3.40 times higher than the standard KDP crystal. Vickers microhardness study reveals the mechanical strength of the grown crystal and dye inclusion results in enhancement in work hardening coefficient ‘n’, brittleness index ‘Bi’, fracture toughness ‘Kc’ and stiffness constant ‘C11’. Both pure and doped crystals exhibit positive photoconductivity. SHG efficiency of doped crystal is 2.01 times higher than KDP and and 0.45 times higher than pure crystal. The real, imaginary and third order susceptibility of doped crystal is prominent than pure which is determined by using Z-scan analysis.